The Netgear Nighthawk AC1900 is the fastest of the Netgear series, being an 802.11ac dual band gigabit Wi-Fi router with a 1 GHz dual-core processor getting up to 600+1300Mbps. 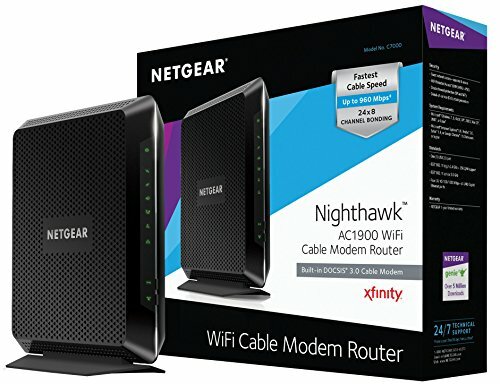 Also the most expensive of the Netgear technology, this router is ideal for very large homes, big households, and serious gaming experiences. There are four LAN and 1 WAN Gigabit Ethernet ports, two USB ports, and comes with new genie access to control your network on a smartphone application.